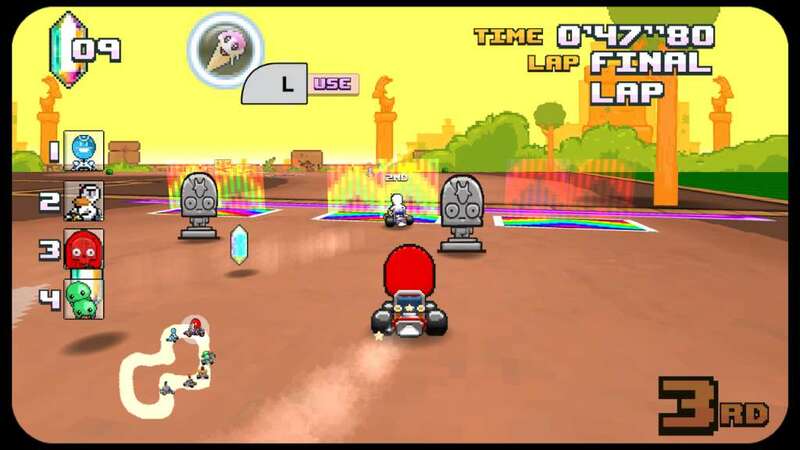 Super Indie Karts is a classic retro 16-bit style karting game, with Time Trials, Grand Prix, and Battle Modes! The game was KickStarted late in 2014 and is aimed for completion later in 2015. 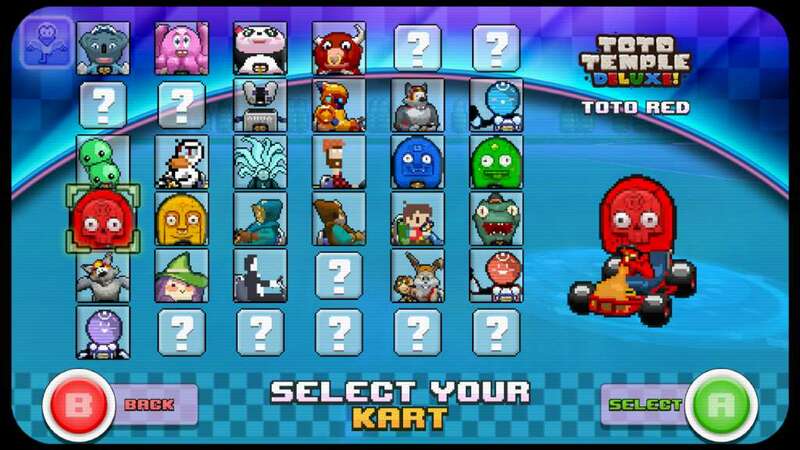 You don't have to wait until completion though as you can join in now with Early Access to the Super Indie Karts BETA builds! 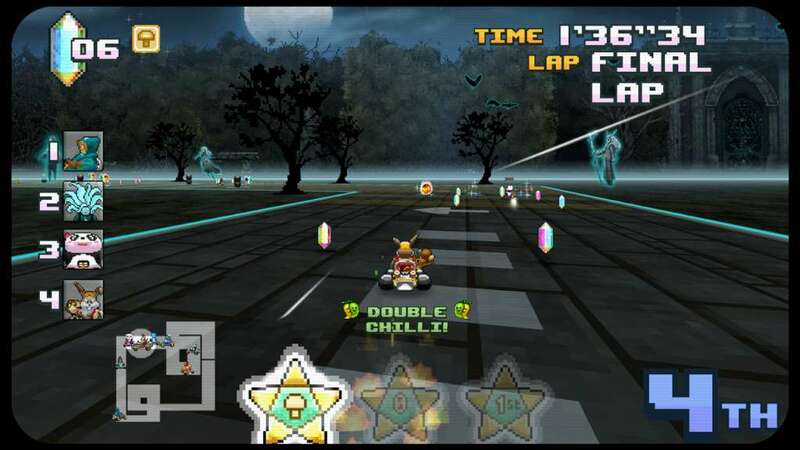 The BETA currently features over 20 characters and 15 tracks to play Single Player in Grand Prix mode. More play modes, characters, players, and features will be added as the weeks till release drift on by. The Early Access price will also reduce at the end of each month. 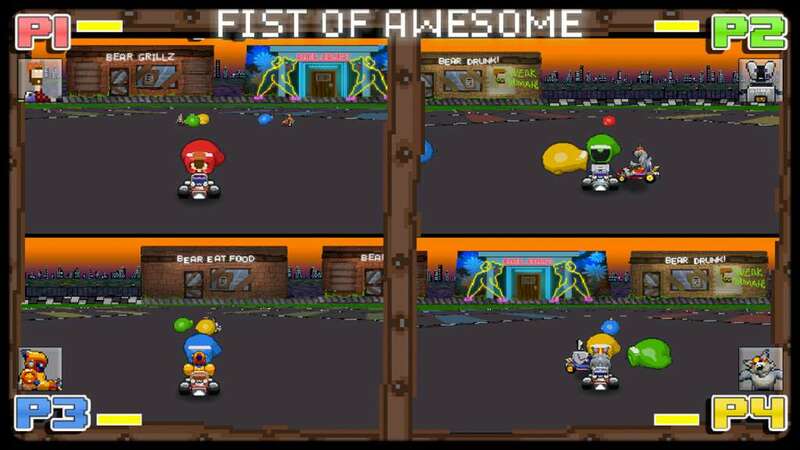 Play with a mix of original oddball characters, and some super Indie Game crossover characters, around the world in iconic locations or in some super Indie Game themed tracks! 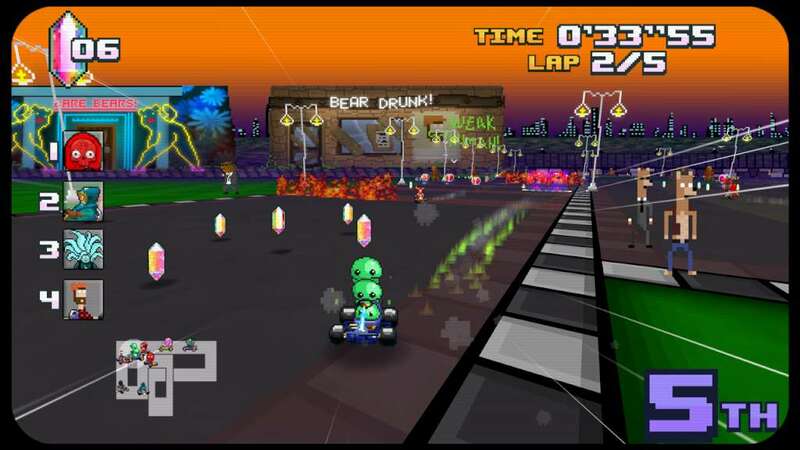 It might get a little bumpy out there though as there are plenty of weapons on the track to give you a spin: Melon Cannons, Exploding Pineapples, Melted Gelatos, Heatseeking Loconuts, and 3 different strength Chilli Boosts! Indie Crossovers so far include: - Whispering Willows - Fist Of Awesome - Read Only Memories - Lobodestroyo - Canabalt - Duck Game - So Many Me - Toto Temple Deluxe - Aegis Defenders - Adventures Of Pip - Shutshimi - Gentlemen Ricochet - A.R.E.S. - Holobunnies - Clive'N'Wrench - Cross Code - PowerDrive2000 - and many more to come! 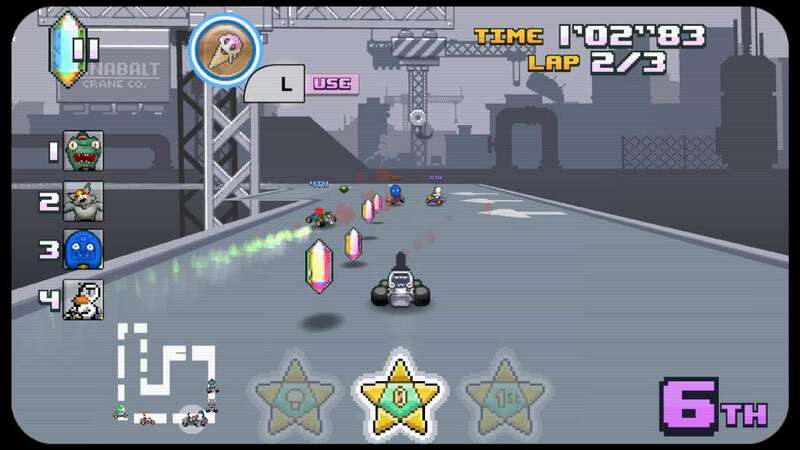 With over 40 tracks to race on, in 3 speed classes, plus mirror mode, there's plenty of achievements and unlocks to keep you drifting and burning pixel rubber 'till the cows come home.